Diamandis is a dynamic inspirational speaker — described by many as “the best in the industry.” He delivers real value to his audience by showing them how to drive breakthrough thinking and innovation within their company that offer clear, measurable and objective results. Based on the success of the Ansari X PRIZE (which stimulated the creation of a billion-dollar private spaceflight industry) and the success of additional X PRIZEs in Life Sciences, Energy, Environment and Exploration, Diamandis explains how to incentivize breakthroughs in your company and industry. Diamandis explains how traditional thinking, risk aversion and incrementalism will cause the demise of companies unable to cope with the coming decades of disruptive innovation. Diamandis explains how the rapid growth of key exponential technologies (Nano, Info, Bio) are empowering individuals and small companies to do what only governments were able to achieve only a few decades ago. Such technologies will drive a period of significant disruption and/or opportunity depending on the company’s mindset. Diamandis’ ultimate message is that companies cannot remain stagnant. They must evolve or they will die. You are either disrupting your own business model or will be disrupted by others. 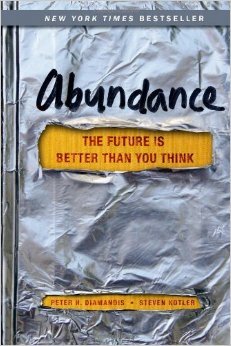 Diamandis is the New York Times bestselling author of ABUNDANCE – The Future Is Better Than You Think (#1 on Amazon, #2 on NYTimes, Simon & Schuster, Feb’12), in which he lays out how we will soon be able to meet and exceed the basic needs of every man, woman and child on the planet. Abundance for all is within our grasp. This bold, contrarian view, backed up by exhaustive research, introduces our near-term future, where exponentially growing technologies and three other powerful forces are conspiring to better the lives of billions. 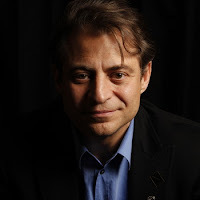 An antidote to pessimism by tech entrepreneur-turned-philanthropist Peter H. Diamandis. Since the dawn of humanity, a privileged few have lived in stark contrast to the hardscrabble majority. Conventional wisdom says this gap cannot be closed. But it is closing — fast. The authors document how four forces — exponential technologies, the DIY innovator, the Technophilanthropist, and the Rising Billion — are conspiring to solve our biggest problems. Abundance establishes hard targets for change and lays out a strategic roadmap for governments, industry and entrepreneurs, giving us plenty of reason for optimism. In his keynote address, Diamandis examines human need by category — water, food, energy, healthcare, education, communication and freedom — and addresses how a range of powerful technologies such as synthetic biology, embedded networks and cloud computing, AI and robotics, biotechnology and medicine are transforming what was once scarce into something abundant.